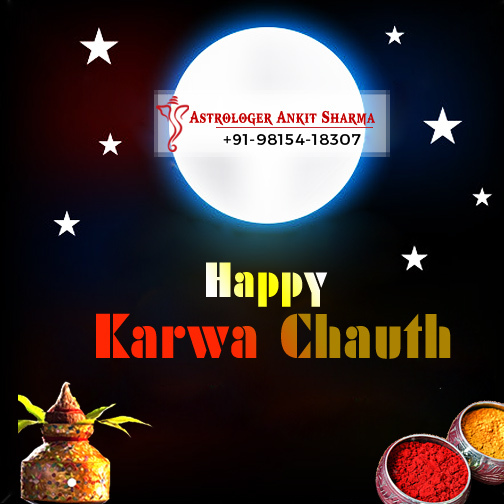 Offered generously by our prestigious service firm of global fame mainly in the fields of astrology and vashikaran services, are free online karva chauth greeting cards, to make this very significant and sumptuous festivals of Hindu women maximally delightful and fruitful. Recently, our firm has started presenting free online greeting cards related with various festivals, events, and personal and social occasions, to make these occasions more happy and gratifying. These joyous, religious, or momentous occurrences relate mainly to the Indian societies and also to global significance. 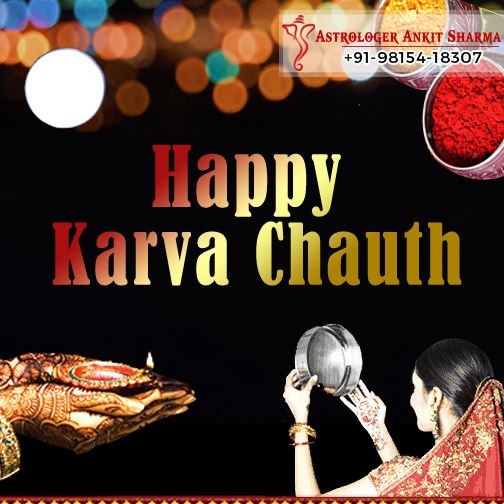 The great festival of Karva Chauth, also spelled as Karwa Chauth, is celebrated by Hindu women, especially the married women, to commemorate their marital relationship, to seek blessings of God for their happy and lasting union, and to pray for the well-being, happiness, and longevity of their respective husband. Visitors may use these e-Cards to wish friends and relatives a happy karva chauth this year.
" A Very Auspicious and Productive Karva Chauth ! "